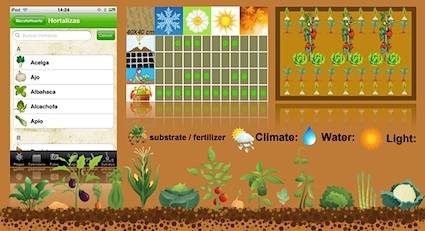 Home Applications POTTED GARDEN is best way to handle your garden duties! POTTED GARDEN is best way to handle your garden duties! Announcing that the second updated version of popular, amazing MacetoHuerto app is on it's way to settle within the AppStores. 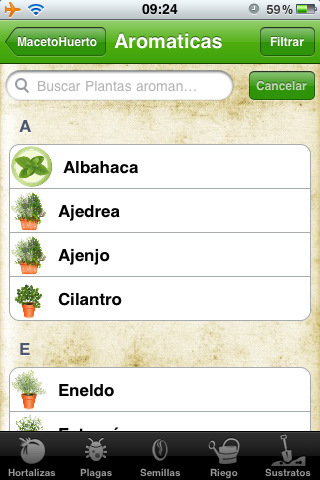 Being number one app within the Spanish and Italian AppStores and hottest news trough specialist Spanish blogs was stimuli to the app developers for creating something more perfected and as a result we received exciting, innovative, simplified app for everyone who cares about their plants called POTTED GARDEN. And now you don't need to go to Spanish courses for using the app, it's simple in English! We all are aware that the lack of the nature is an actual problem for everyone who lives in a big city and in such dusty environment having your own home garden is the best decision. But if you haven't got any experience in this field and Fertilization is a little difficulty for you or you're interested in planting depth for your plant, be sure that in this hard situation POTTED GARDEN will provide you with all related information in a few minutes. To take care of your vegetables, watching them grow and then harvesting them is more simple with POTTED GARDEN app for you. Discovering the authentic flavors of your own fruits or vegetables is a great pleasure. You can also take a photo of your vegetable and send it to facebook or e-mail it but soon the own server is planned to be released, where you can share the photos. 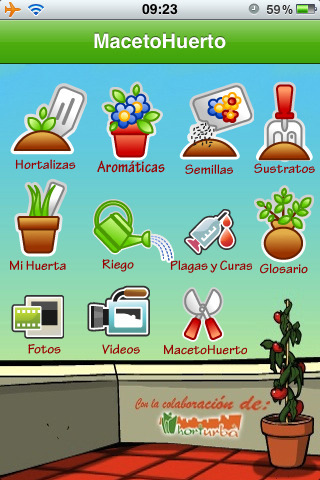 In addition, the application Mi huerto allows you to track and write notes on the progress of your vegetable garden. You can either find videos of shows regarding art of urban gardening. 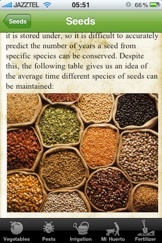 Examples of use, both culinary and medicinal. Dates for potting sheds, no-till planting, transplant and harvest. Examples of grouping vegetable in cultivation tables. How to make your own compost. 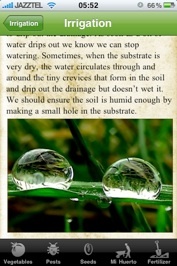 Cures against aphid, White-fly, fungus etc.